Smart Living, Savvy Shopping & Living Life Large on Less! 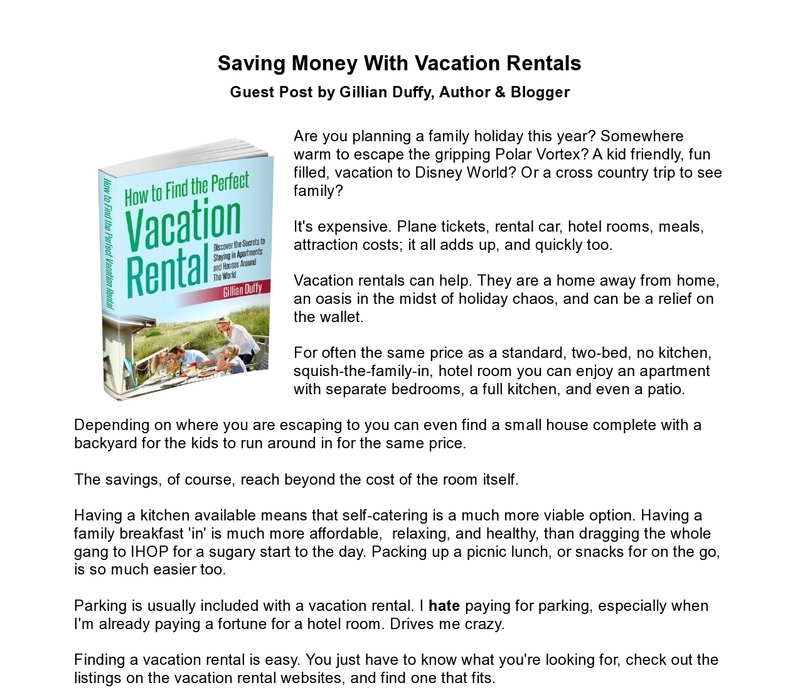 Saving Money With Vacation Rentals — Book Launch & Giveaway! Discover the Secrets to Staying in Apartments and Houses Around the World! Last Fall while attending a national blogging conference called Blissdom, I had the pleasure of meeting Gillian Duffy and was immediately fascinated and inspired by her great story and positive energy. She and her partner Jason were doing what many of us dream of doing.. they had given up their jobs, sold everything the owned and were living their dream of travelling and living around the world. It started in 2009 when they took their first big trip – 14 countries round-the-world. 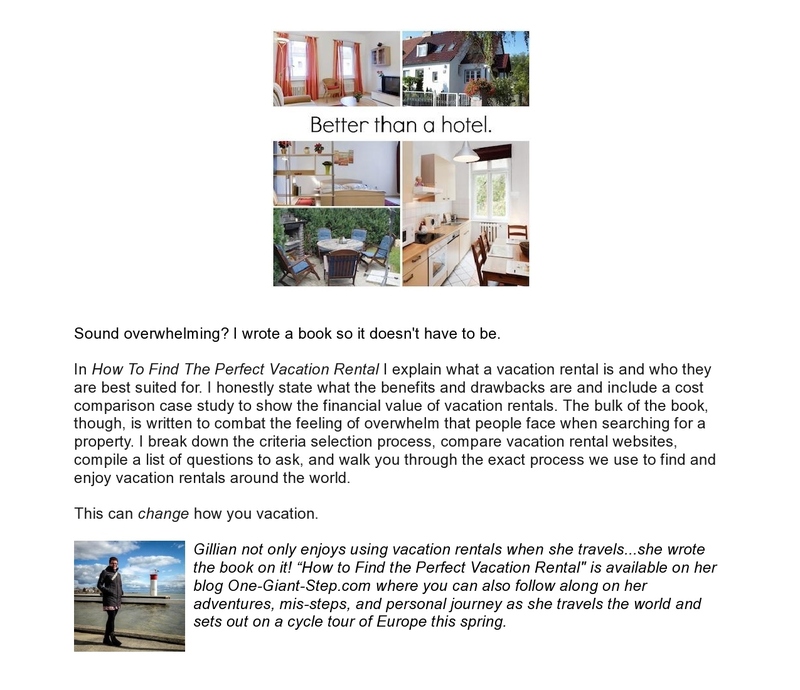 So when I heard that Gillian had just launched her first book called How to Find the Perfect Vacation Rental, I jumped at the chance to help her promote it. You can read her guest post all about it below. This book is all about saving time, money and hassles when vacationing with your family. Gillian’s 60 page book How to Find the Perfect Vacation Rental shares the exact process she uses to book her own vacation rentals on her around-the-world adventures, so you can be sure that it will work for you too. This digital book explains what a vacation rental is, who they are best suited for and honestly states the benefits and drawbacks, including a cost comparison case study to show the financial value of vacation rentals. It is available for purchase on Amazon.com and is easily downloaded to your Kindle. (If you don’t have a Kindle, you can also download a Kindle App and it can be read on any digital device.) If you want to BUY IT click here, or enter my contest below. I am so glad that I met Gillian and I wish her well with this book and as a traveller at heart, I also look forward to following her adventures around the world and learning from her experience. 2 E-Books BOOKS to GIVEAWAY! 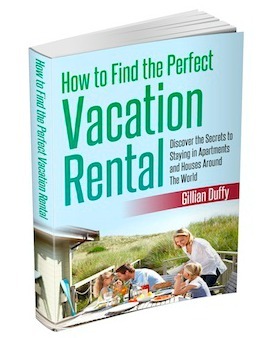 I have TWO digital copies of How to Find the Perfect Vacation Rental by Gillian Duffy to giveaway to my lucky readers! (If you don’t have a Kindle, don’t worry.. I also have it available in a PDF format). Good Luck! Where do you usually stay when you vacation with your family? If you could travel anywhere in the world with your family, where would you go? Where is the coolest place you’ve stayed with your famliy? You may enter up to 3 times each, once per day. Kids Eat FREE During March Break at The Crossroads Restaurant! 4 FREE Rookie Ball Baseball Clinics.. Kitchener Minor Baseball.. CLICK to register! Christmas in Concert – FREE Holiday Concert.. Amazing! 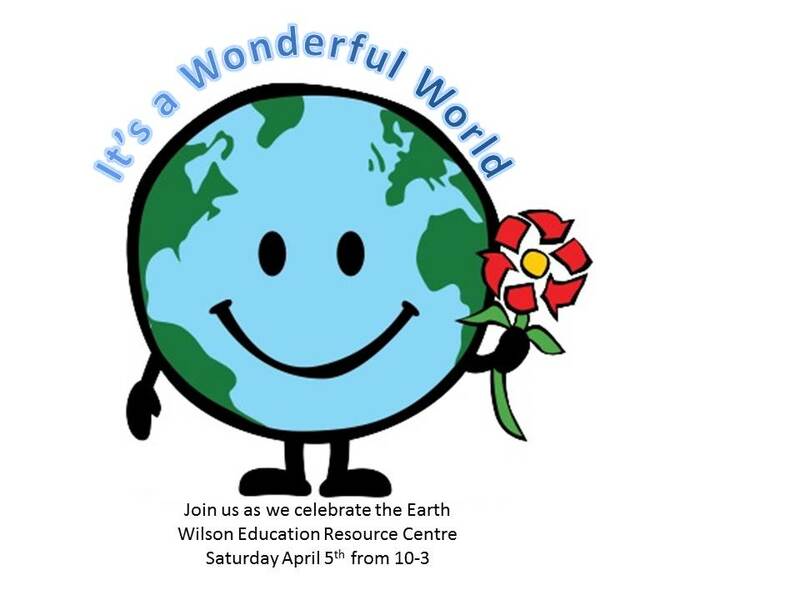 Why do YOU #LoveWhereYouLive – CONTEST! FREE EVENT & Fireworks – Wonders of Winter Opening Night Sat Nov 29th!